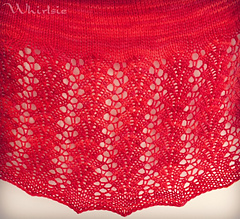 Eithne is an Irish name meaning fire, and the lace pattern in this shawl is reminiscent of flames. 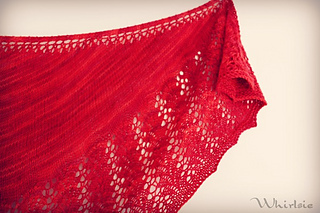 This design uses a garter stitch tab to create a seamless edge along the crescent shape of the shawl. Worked flat from the top edge out, this shawl knits up quickly with fun increases along the sides. The finished size of this shawl will be approximately 120cm (47”) in length and 47cm (18.5“) at the widest point. 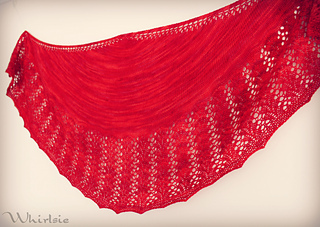 By using more or less yarn, this shawl can be made longer or shorter as required. Advanced beginner - you will need to know how to knit, purl, work simple lace, and pick up stitches. Full written instructions are provided along with chart instructions.